Frontline KZN pianists and a feast of symphonic classics feature in the weeks ahead. The UKZN School of Arts, Discipline of Music presents a red letter event at Howard College Theatre on Friday August 24. Durban’s star pianist Andrew Warburton gives his long-awaited PHD recital, performing an epic programme of concert show-stoppers. This includes a group of late Beethoven masterworks, the Bagatelles Op 126 and the profoundly beautiful Piano Sonata No. 30 in E major, Opus 109. 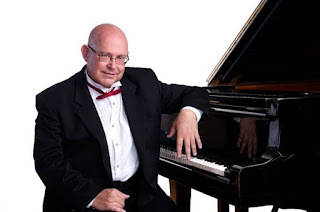 Also on the solo piano front, KZN audiences can enjoy Christopher Duigan performing a programme of music by the ultimate piano virtuoso, Franz Liszt. Duigan’s programme includes a stellar selection of celebrated compositions, including the popular Liebestraum, La campanella, Hungarian Rhapsody No 2, and Un sospiro, in an engaging introduction to the life and music of the great Hungarian composer. Duigan’s recital itinerary includes performances in a number of venues, among them Grace Hall, Ashton International College, Albertina Way in Ballito on Wednesday August 22 at 19h00; the Tatham Art Gallery in Pietermaritzburg on Sunday August 26 at 15h00; and St Agnes Church in Kloof on Tuesday August 28 at 19h30. Book at booking@musicrevival.co.za or 083 417 4473 (SMS or WhatsApp preferred). The KwaZulu-Natal Philharmonic Orchestra’s Early Spring Season runs in the Durban City Hall each Thursday between August 23 and September 13, starting at 19h30. 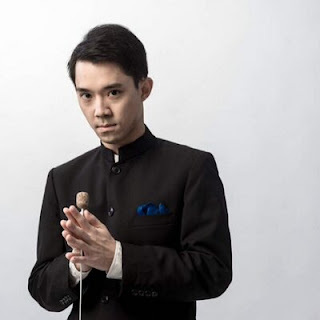 The young Hong Kong-born conductor Perry So opens the season with a programme that includes Mozart’s colourful Il Seraglio Overture and his iconic Symphony No 40 in G minor. The Italian virtuoso Alessandro Taverna is the soloist in Chopin’s Piano Concerto No 1 in E minor in the second half of the programme. 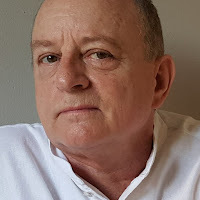 Perry So returns for the second programme on August 30. This opens with the delightfully off-beat L’ile de Tulipatan Overture by Jacques Offenbach. The prizewinning young German violinist Alissa Margulis is the soloist in Mendelssohn’s much-loved E-minor Violin Concerto and the evening ends with Brahms’s monumental Symphony No 1. Acclaimed Russian maestro Daniel Raiskin makes a welcome return to the podium on September 6 to conduct a richly eclectic programme. This includes Richard Strauss’s early concert masterpiece, Don Juan; Liszt’s dazzling Piano Concerto No 2 (spotlighting Vitaly Pisarenko a soloist); and Smetana’s evocative The Moldau. The programme rounds off with the fascinating inclusion of Warren Bessey’s Symphonic Fantasy, Inkosazane Mkabayi. This 25-minute work focuses on one of the most powerful figures in 19th Century Zulu history – King Shaka’s formidable aunt, the Princess Mkabayi Kajama – whose dramatic entrance into life foreshadowed not only the shape of her own destiny but also that of the Zulu nation. She is remembered as a highly intelligent leader and fierce defender of the Royal Household. The KZNPO’s early spring season ends in traditional style on September 13 with Lykele Temmingh on the podium for the annual National Youth Concerto Festival. As ever, this showcases the cream of young South African talent performing with seasoned professionals. This year’s event is dedicated to the memory of the Orchestra’s founding conductor, Dr David Tidboald, who died recently at the grand old age of 92, having spent a lifetime dedicated to fostering the careers of young musicians.